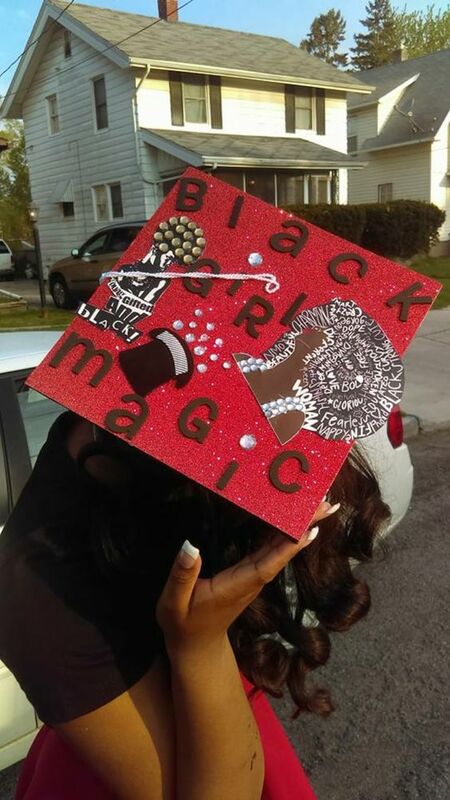 Black girl magic graduation cap decorations – we scoured the internet to find the nicest black girl magic graduation cap designs and put them here just for you. You are a black girl and you are powerful! Let your voice be heard on graduation day. Keep a memento for your next generation to show them what mom did! If you are the first in your family to graduation college, it is even more important to memorize your graduation day. 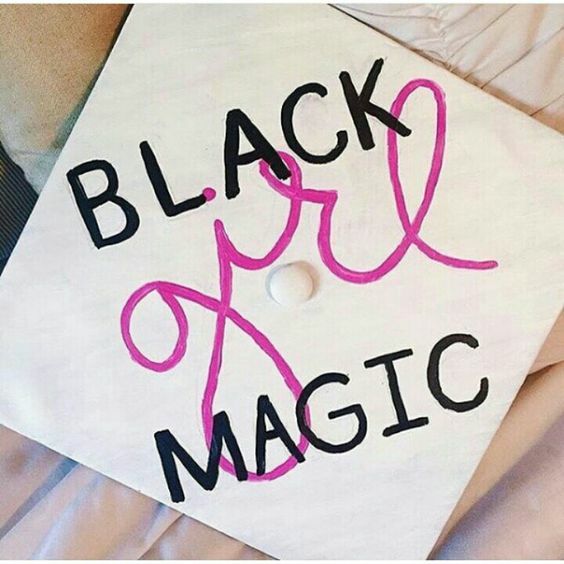 Black girl magic graduation cap decorations start right here! 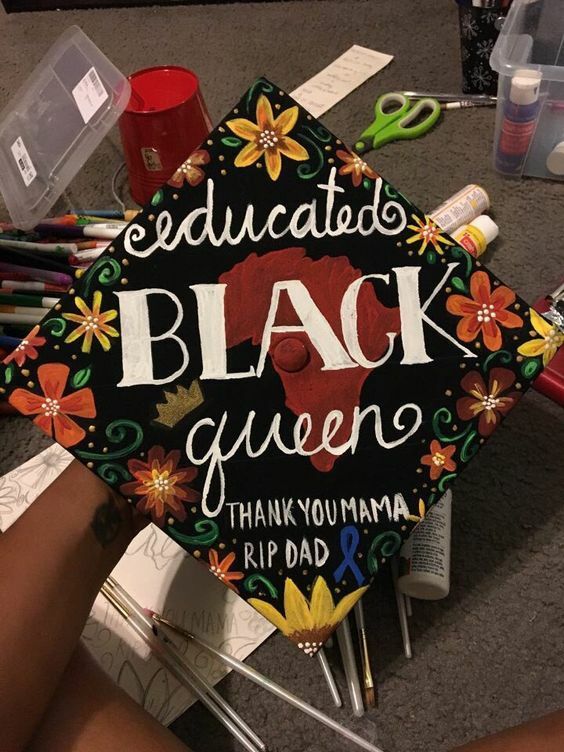 1: If you are good at drawing, a painted design can be great for your graduation cap! 2: You don’t need to go over the top if you don’t want to! This classy and simple design is elegant too. 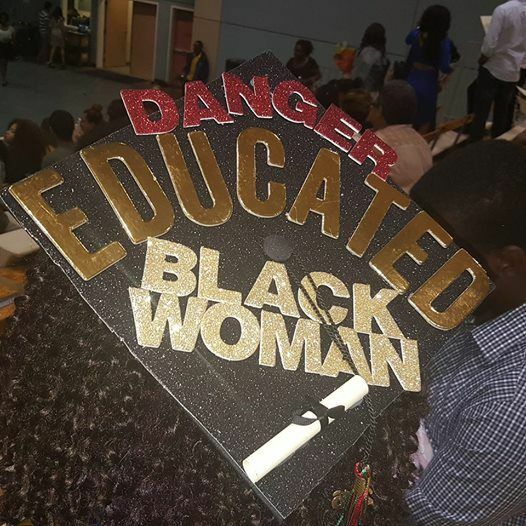 3: Put the world on notice – your graduation cap is a testament to your hard work! 4: A floral outline makes this cap pop, with an inspired design – natural hair all the way! 5: A little handiwork goes a long way. 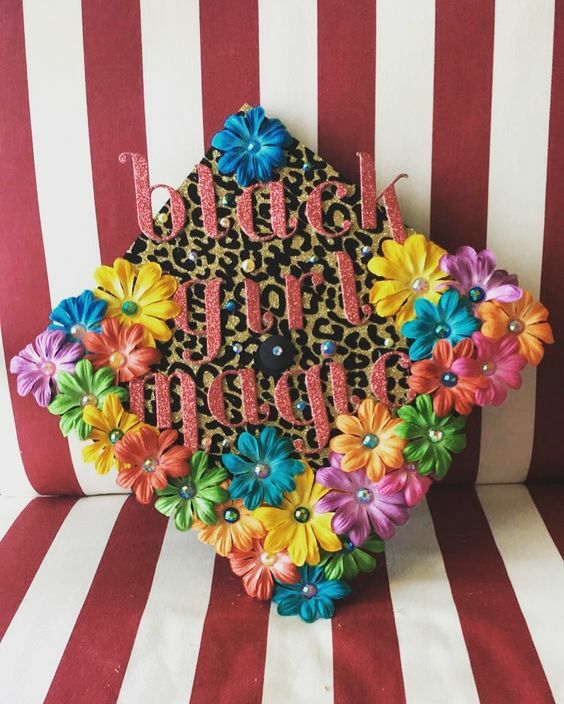 A design like this can go in lieu of any flowers on your grad cap! 6: Wow! This cap won’t get lost during photos. When you are on stage on graduation day, no way your parents will not find you with this colorful ensemble. 7: A pink background makes your cap pop naturally! 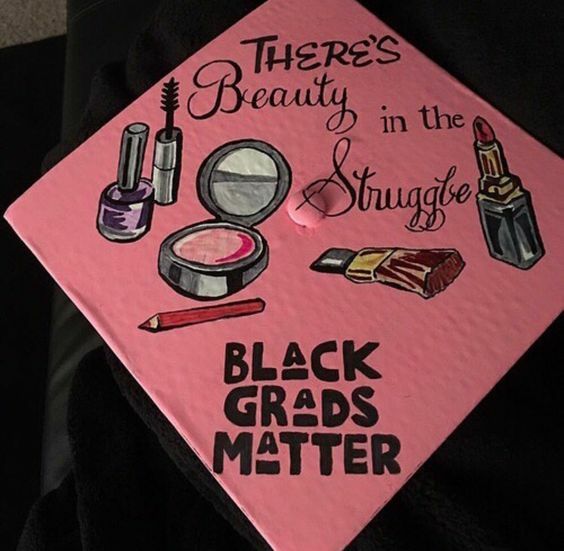 Black Grads Matter! 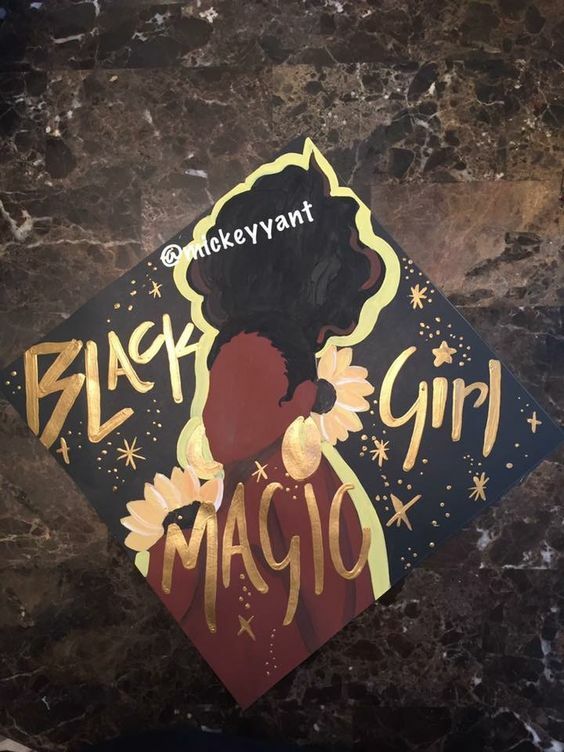 8: Another Black Girl Magic cap with a shimmering red background and a magic hat! Can you ask for anything more? 9: A tiara for the the queen of graduation day! 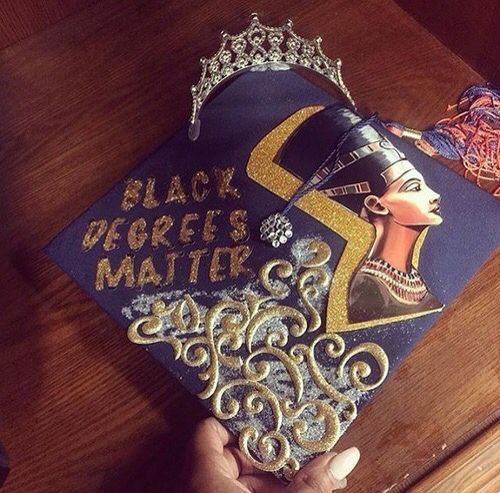 Beautiful calligraphic designs on the bottom add some depth to the grad cap. 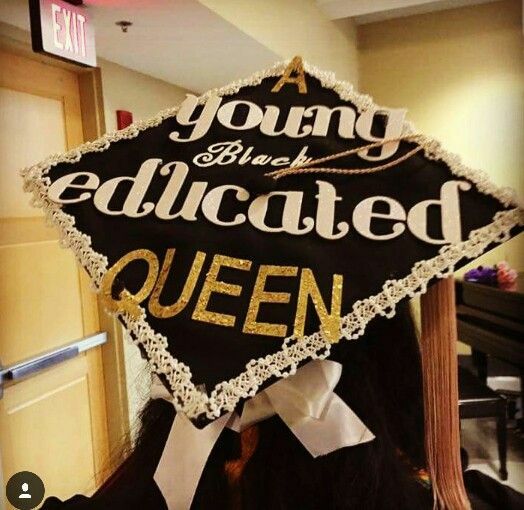 10: You are a young black educated queen! Don’t let anything stand in your way. 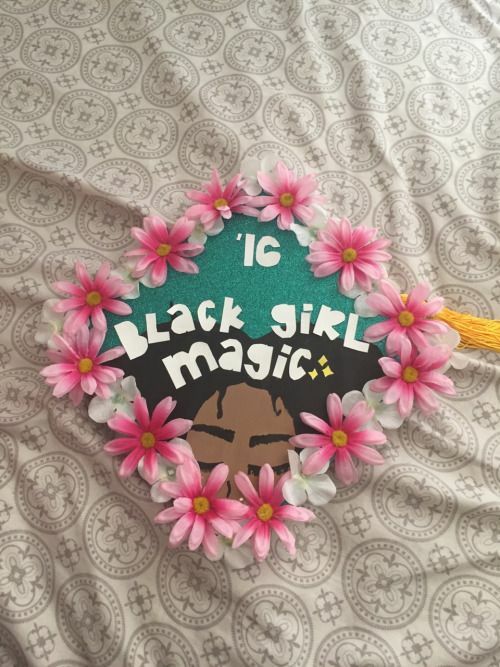 We hope you find inspiration these black girl magic graduation cap decorations. For all you beautiful black girls out there, never let anyone get you down. You have more perseverance than anyone else out there! You can make magic happen.